Before they passed away I had some friends who worked in Warner Bros. cartoons. They told me that Mel Blanc actually said, "Meep, meep! ", but it's no big deal. By the way, the Road Runner was originally female. Always wondered: was it "Meep" or "Beep" -- or some impossible to duplicate combination of the two? 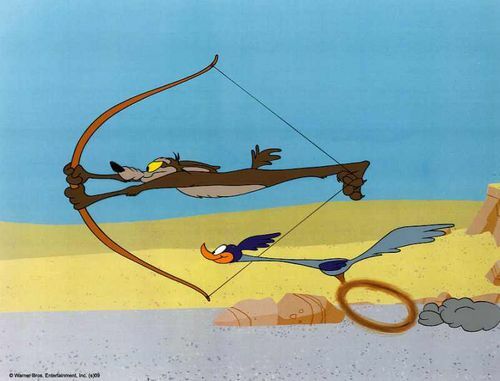 I think if you look up the words "classic cartoon" in dictionary, it says, See "Road Runner and Wile E. Coyote."